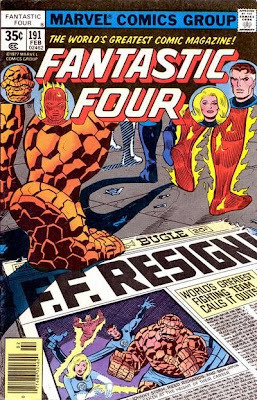 The Death Of The Fantastic Four! Variety reports that 20th Century Fox has begun overhauling the "Fantastic Four" movie franchise to take the Marvel property beyond the two films already made. Akiva Goldsman has been hired to oversee the reboot as producer. Michael Green, the co-exec producer of TV's "Heroes" who co-wrote Green Lantern, will write the script for the new Fantastic Four film. The 2005 Fantastic Four and 2007 sequel "Rise of the Silver Surfer" were directed by Tim Story and starred Ioan Gruffudd, Jessica Alba, Chris Evans and Michael Chiklis. Since the deals for the reboot are just getting made, it is unclear if any of them will return. 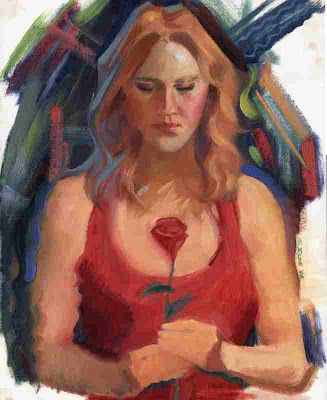 Steve Rude is pleased to announce that his artwork, entitled "Tina", has been accepted into the "Rhythm, Movement, and Music juried exhibit. Response to the exhibit was exceptional with submissions of over 200 works of art. Professor Paul Andrus, judge for the inaugural exhibit, selected 38 works of art which included paintings, sculpture, jewelry, photography, and digital art for the SunDust Gallery inaugural exhibit. "Tina" was a one day job that Steve expanded on with slashes of color to simulate a larger emotional range than the model and backdrop gave him. The opening reception will occur on Friday evening, September 11, 2009 from 6pm to 9pm. The Rhythm, Movement, and Music exhibit is being held as part of the SunDust Gallery grand opening gala. What The Hell Is Wrong With People? Fun With eBay! A few weeks back I sat here wondering what the hell was wrong with eBay lately, but I suddenly had the epiphany that I believe everyone who sells on eBay has - it's not eBay, it's the people who buy. Allow me to explain. We sell on eBay, as do a lot of people. Right now our sales are supplementing what little income I currently have and are also going a long way to funding the start-up of the shop. We generally sell comics, some magazines, some books, some CDs, clothing, the odd DVD and other items as we see fit. Nothing huge, although at times we do make a push and put a few hundred items up a week in order to get a cash flow in for a project or trip. Again, in this regard there's nothing unique about us, but clearly there's something unique about the people our items attract.